The spacious rooms at the non-smoking Centro Hotel City Gate feature cable TV and a telephone. Each room is decorated in its own style. 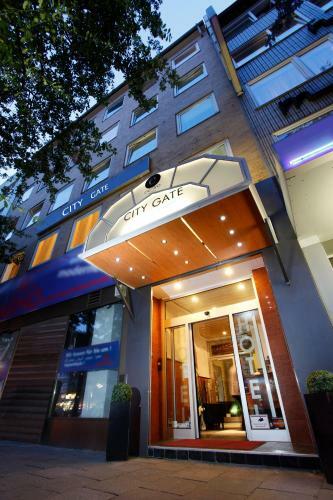 The popular Mönckebergstraße shopping street is just 1 km from the Centro Hotel City Gate. Direct S-Bahn trains run from Hamburg Central Station to Hamburg Airport in 25 minutes. Public parking is possible at a location nearby (reservation is not needed) and costs € 10 per day. Please also note that not all floors are accessible via lift. Guests are required to show a photo identification and credit card upon check-in. Please note that all Special Requests are subject to availability and additional charges may apply.